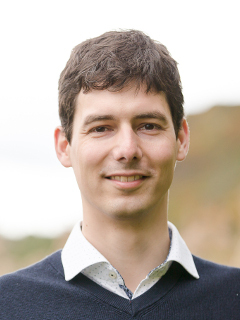 Chris Heunen obtained MSc degrees in both Mathematics and Computer Science, and went on to obtain a PhD at the Radboud University Nijmegen in the Netherlands in 2009. He subsequently became a visiting researcher at to the California institute of Technology and a Research Fellow at the department of Computer Science in Oxford, where he held a Junior Research Fellowship at Linacre College. He has been awarded the 2012 Birkhoff-von Neumann prize by the International Quantum Structures Association. In 2013 he obtained an EPSRC Early Career Fellowship, and in 2014 a Lectureship at St Hugh’s College in Oxford. He joined the Laboratory for Foundations of Computer Science of the School of Informatics at the University of Edinburgh in October 2015. Oscar Cunningham, Martti Karvonen, Hugo Nava Kopp, Vaia Patta, Sean Tull. Mathematical foundations of quantum theory, and its logical and computer science aspects. Methods from category theory, operator algebra, and order theory.